My daughter Genevieve has just turned 3 and at last I have finished decorating her room! 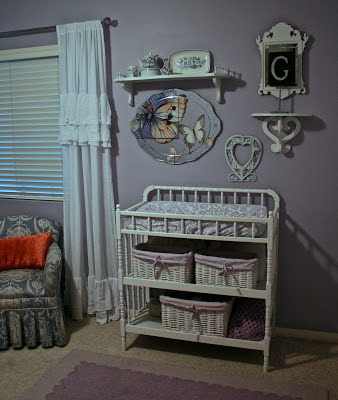 It has been an evolving process that started with a small nursery in a temporary space. At one year old, we moved her crib into her bedroom. Her big girl bed came a year later...and finally at 3, the room is complete. This very slow process has made me question myself; why did this take so long? As someone who has been part of designing countless nurseries and kids rooms, ideas for my daughter’s room seemed to spin around my brain and never land. When I finally made my decisions, executing the plan then took months (although painting in your toddler’s room is logistically challenging). But, alas, it is finished. I just couldn’t go with pink, even though Genevieve, already opinionated at 3 years old, has informed me that pink is her favorite color. 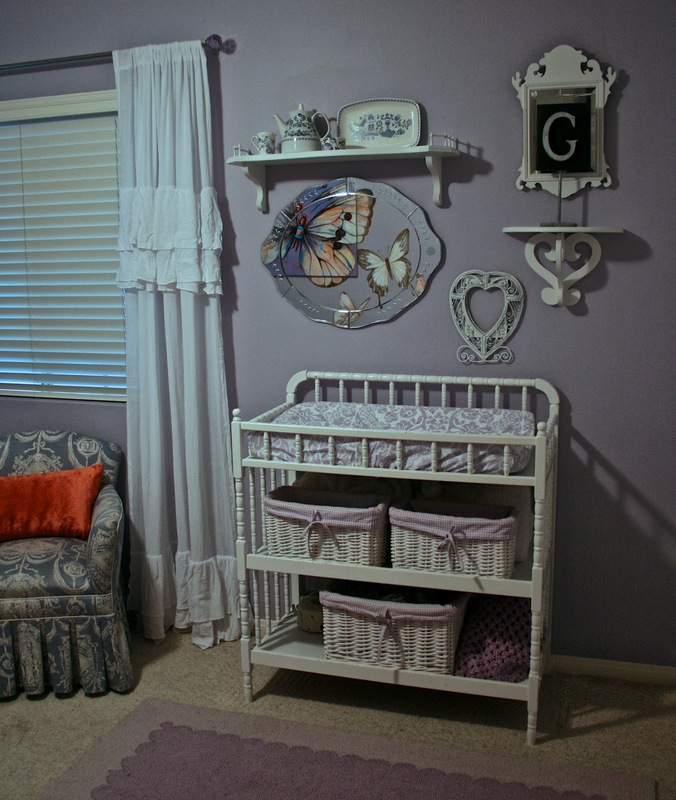 In fact, when I asked her if she liked her butterfly room, she said, “yes, but orange is not my favorite...pink is!” Oh well, what’s done is done. Genevieve’s room has many special things. Her bed (headboard and footboard) and vanity were my grandmother’s. Purchased in New York in the 30’s, I love the beautiful carved wood. The walls feature hand painted butterflies which are beautiful, graceful, and represent new life. Genevieve loves giraffes, so I wanted to include one in her room to add some fun and whimsy. The gallery wall has repurposed items that were all painted white. The tea set was my mother’s, a wedding gift, hand painted from Norway. The words above her closet are from the book of James in the Bible: “Every good and perfect gift comes from above...” She is here today because God stirred in the heart of my friend Daphne, who after having 4 of her own children, offered to be our surrogate. Genevieve is biologically ours, but Daphne carried the pregnancy. She is surely our gift from heaven above! Last Mother’s Day, we started a new tradition in our home. I had recently read a magazine article about a woman who had started a celebration journal. Every holiday or special occasion she asked her children to put an entry in the journal. As small children they scribbled with crayons and wrote their names. As they grew, the entries changed. In some, there was elaborate art work, in others, memorable words. I absolutely love this idea! Instead of a card for birthdays, mother’s day, etc., I ask my kids to put something in the special journal. It is so nice that years of memories to come will find a place in this book and will be a treasure I can keep forever. Blessings to you, Moms everywhere...and may you enjoy a few quiet moments to yourself on Sunday!